No Feeding the Wild Life! 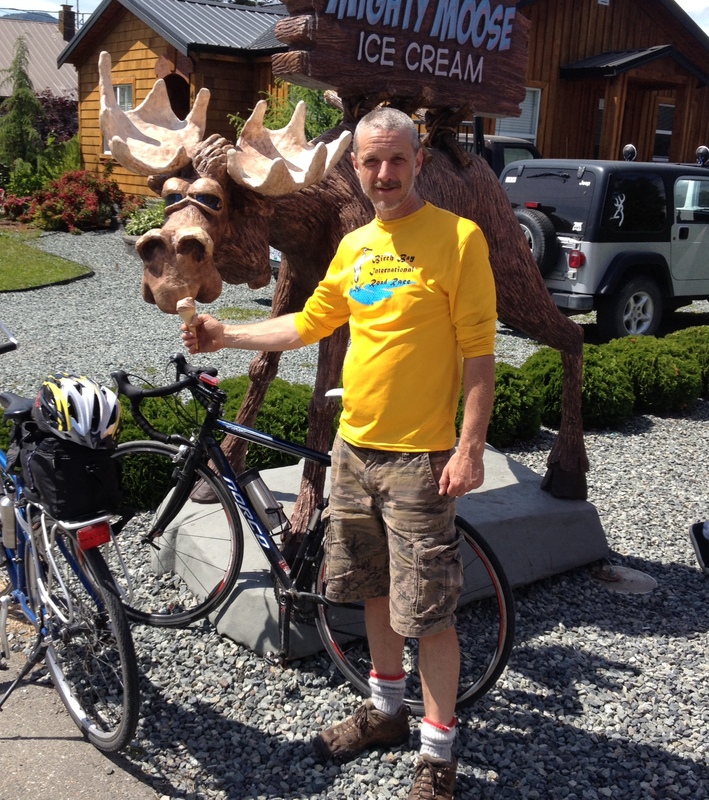 I anticipate in this cycle across Canada we will come across some wild life along the way… Bears, elk, deer, big horn sheep and maybe a moose! I told Richard, “No feeding the wild life!” he did not listen. We encountered this critter on our 140 km training ride yesterday. One of the most common questions I get is, “How is your training going?” Our team of 4 have all logged more than 2000 km this spring. So our team total is about 9000 km!! It seems we are all on track to hit our goal of 3000 km in training before we leave. Only 3 weeks to go before our launch date of July 1st. The other goal we are working on is to have 20 wells pledged before we leave. We have 13 pledged now. YES, kids should have clean water! Yet, millions do not have a source for clean water resulting in sickness and death. You can be part of the solutions by making a donation toward giving a village a deep water well that will provide clean water for many years. The World Health Organization estimates that a child dies every 21 seconds because of a water related illness. Clean water saves lives. A well, which costs $8500, can transform a community. Yes, kids should have clean water! Think about drinking the water in the picture… you can help change this reality for thousands of people.